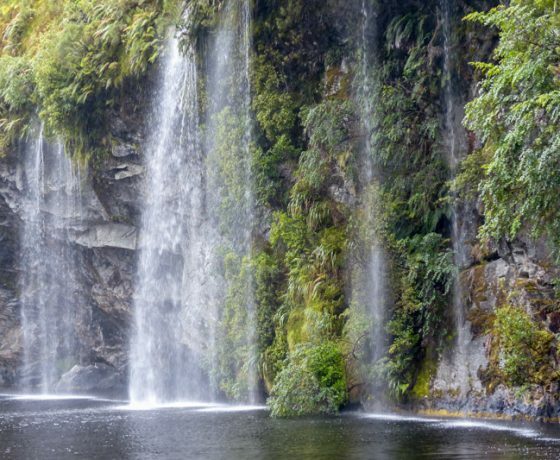 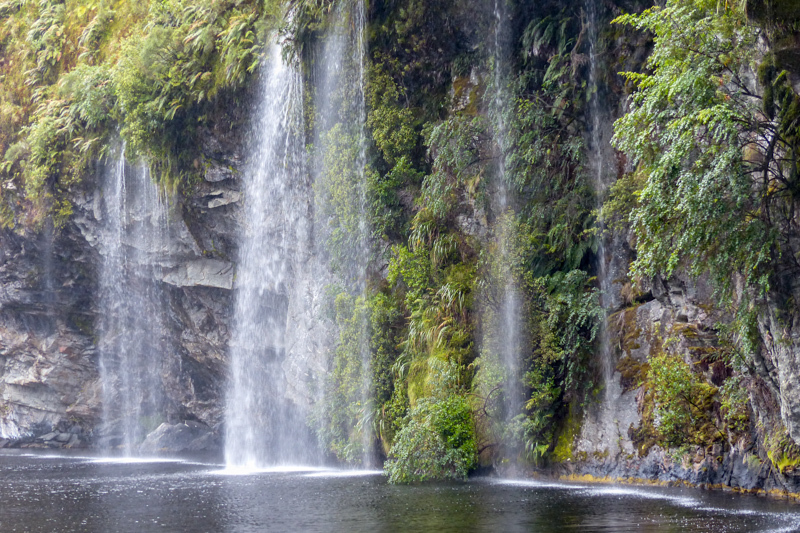 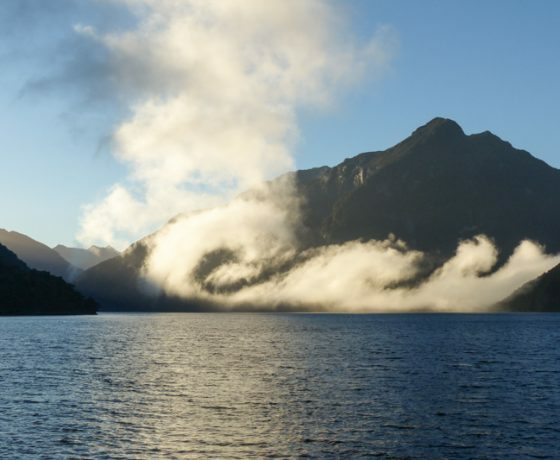 Sometimes called the ‘Sound of Silence’ Doubtful Sound is the deepest (421 metres) and second longest (40 kilometres) of the South Island’s fiords. 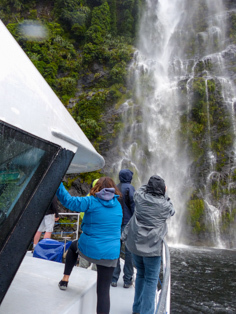 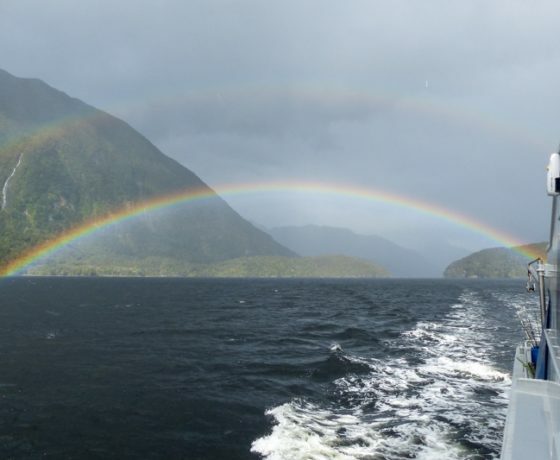 Take a little more time to truly experience Doubtful Sound on an all inclusive overnight cruise with Deep Cove Charters, more than a simple boat trip. 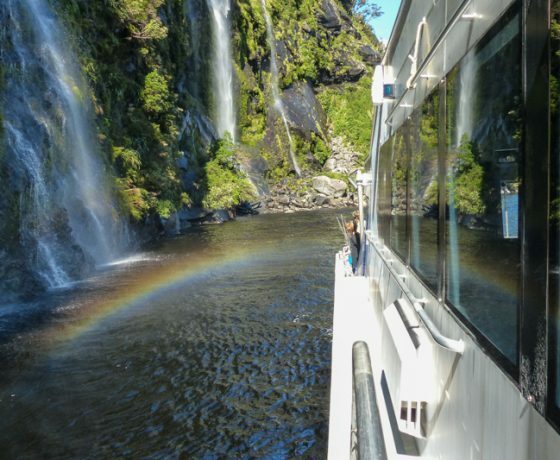 Enjoy a 50 minute boat ride across Lake Manapouri, New Zealand’s most scenic lake, followed by a 45 minute drive by vehicle over the mighty Wilmot Pass where you will enjoy your first magnificent views of Doubtful Sound. 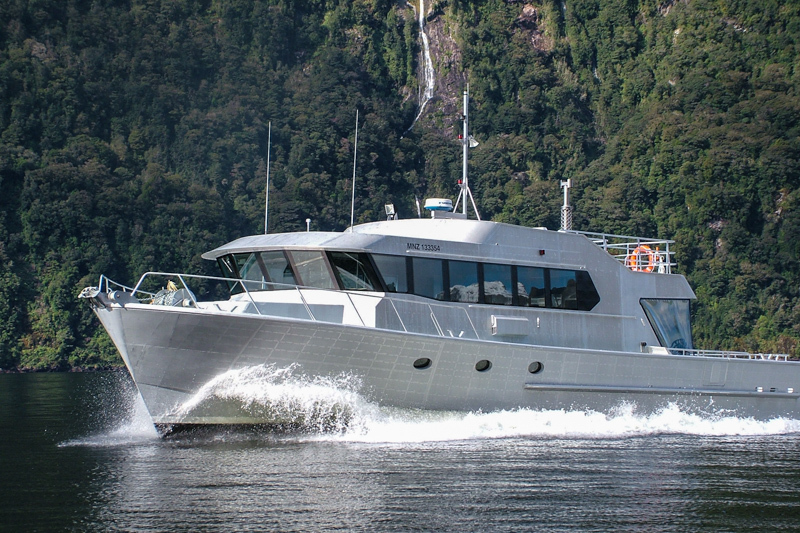 Once on board, SEAFINN winds its way around Doubtful Sound and its many arms on its way out onto the open Tasman Sea while you sightsee. 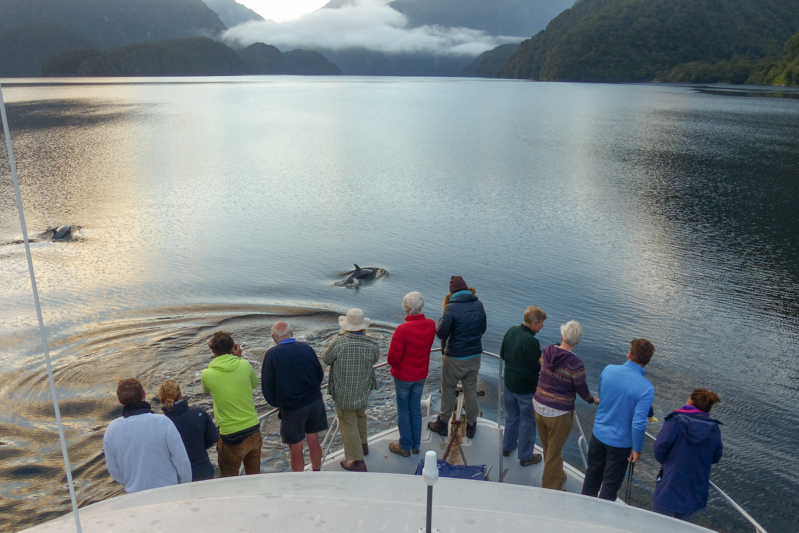 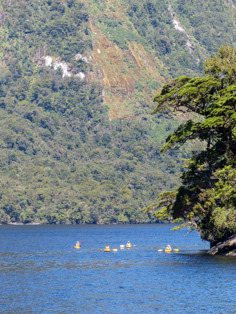 Meet the locals, try some hands-on fishing, take a gentle kayak, relax in the evening and enjoy a hearty and friendly meal with fellow guests and after a lovely comfortable night in your private cabin enjoy a delightful breakfast cruise back to Deep Cove and on to Manapouri. 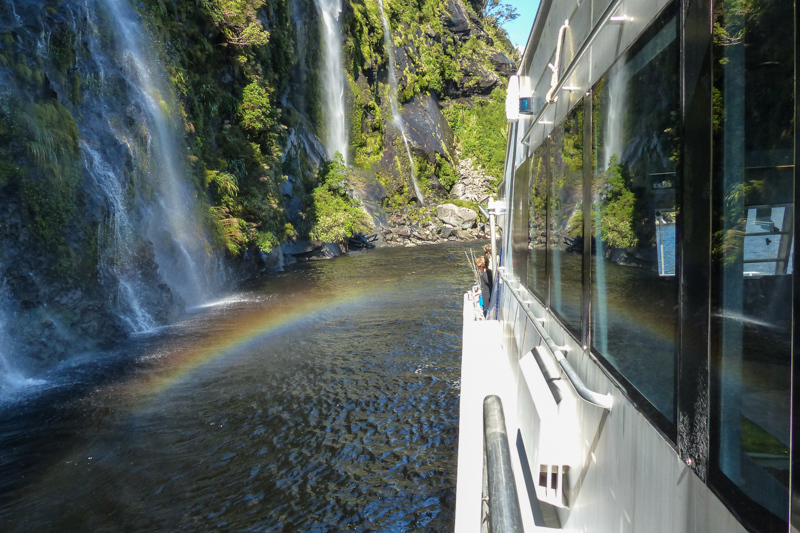 Your Doubtful Sound Overnight Cruise starts in Manapouri just a 20 to 30 minute drive from Te Anau in the South Island of New Zealand. 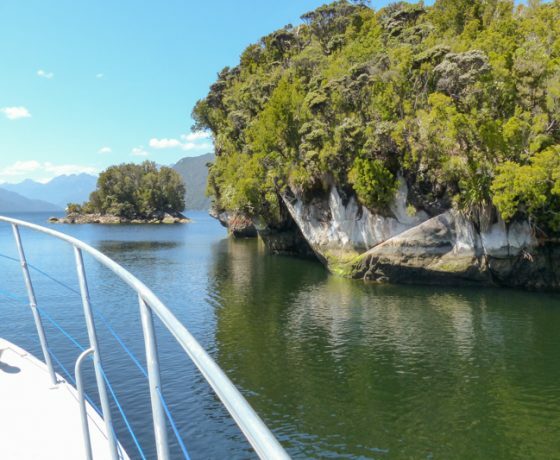 Diane will welcome you and guide you onto the vessel that will take you on a 50 minute boat ride across Lake Manapouri, New Zealand’s most scenic lake, to West Arm at the head of the Lake. 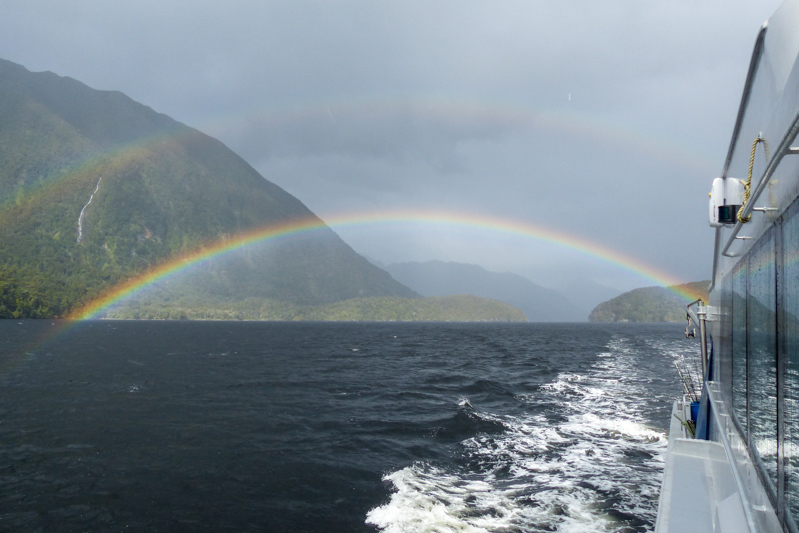 At West Arm, you will be met by your guide – Chris Lemin, who will transport you on a 45 minute drive by vehicle over the mighty Wilmot Pass. 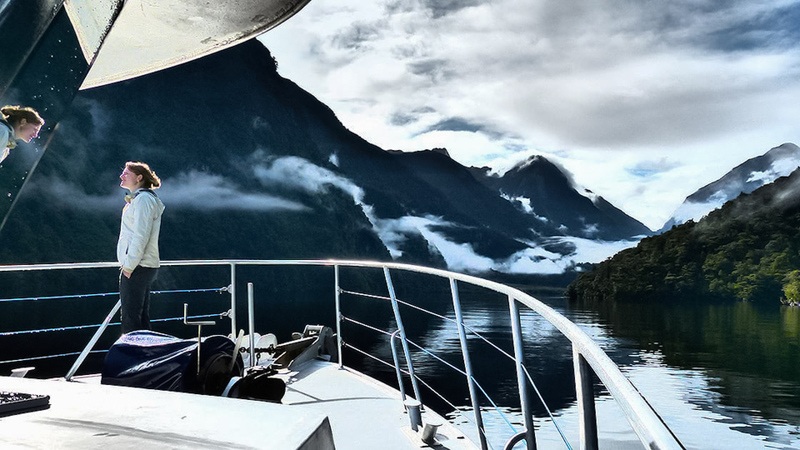 Here you will enjoy the magnificent views of Doubtful Sound, (a great photo opportunity) before arriving at Deep Cove, (the head of Doubtful Sound) where the “SEA-FINN” is waiting for you. 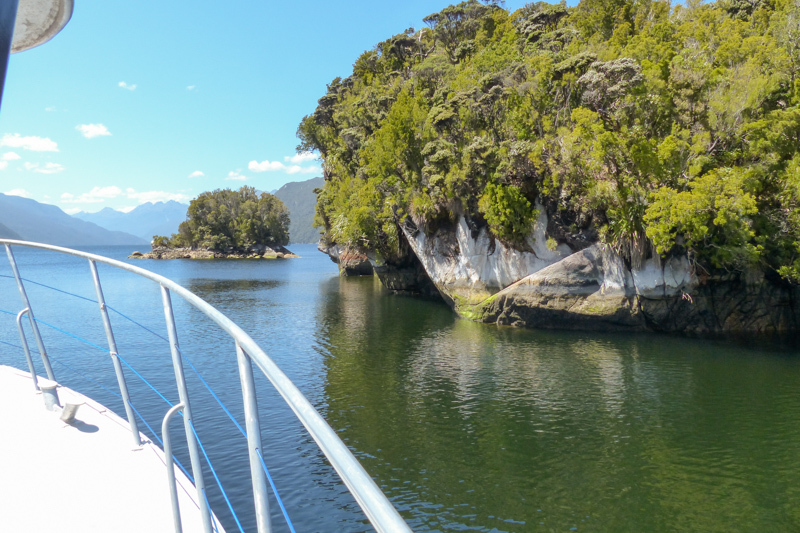 Your guide now becomes your skipper (Chris). 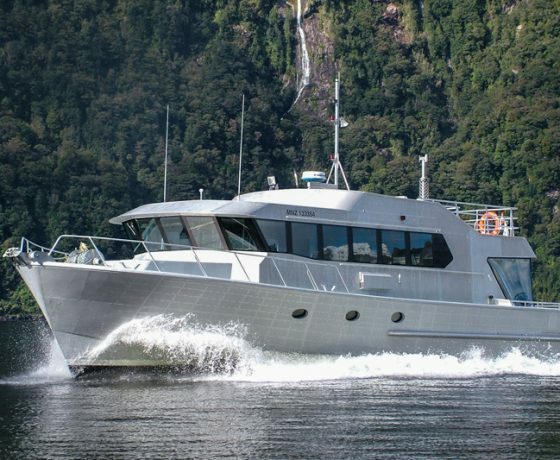 Together with his crew, they will provide you with an enjoyable and unforgettable experience as SEA-FINN winds its way around Doubtful Sound and its many arms on its way out onto the open Tasman Sea while you sightsee. 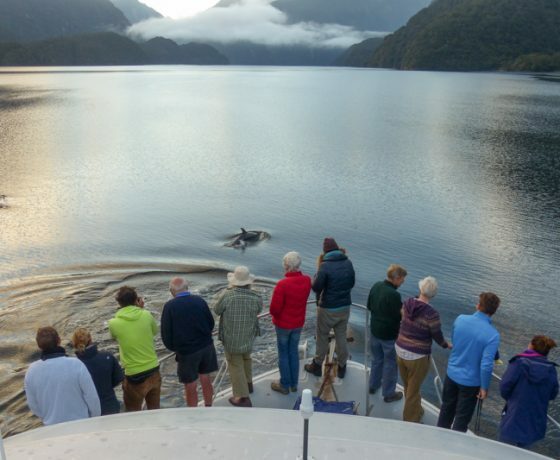 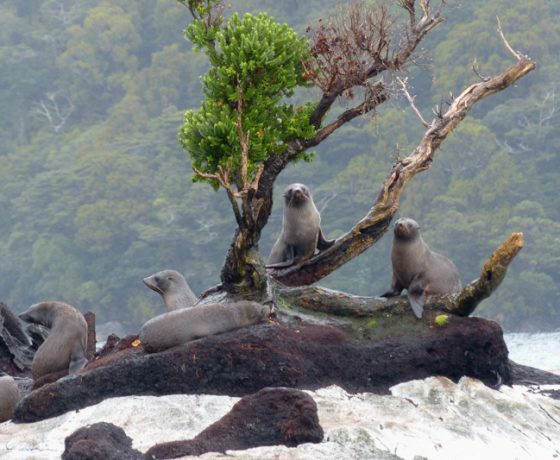 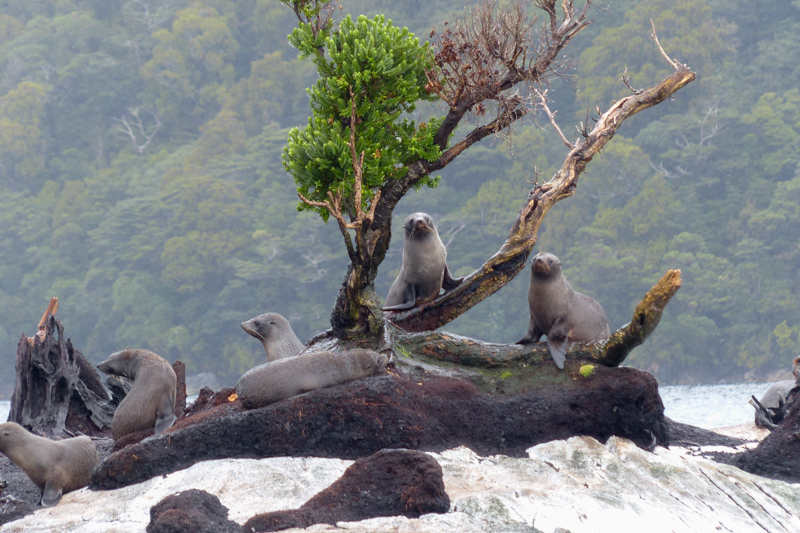 Aside from the stunning scenery possible wildlife sightings are, New Zealand Bottlenose Dolphin, Fiordland Crested Penguins, Albatross, Fiordland Red Deer, New Zealand Fur Seals and Seagulls. 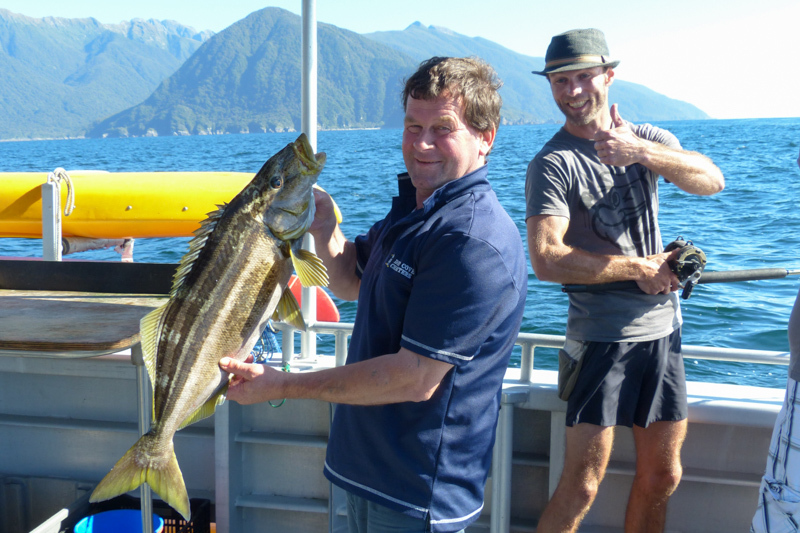 Try your hand at catching your evening meal – possible catches are: Blue Cod, Sea Perch, Tarakihi, School Groper and even an occasional shark! 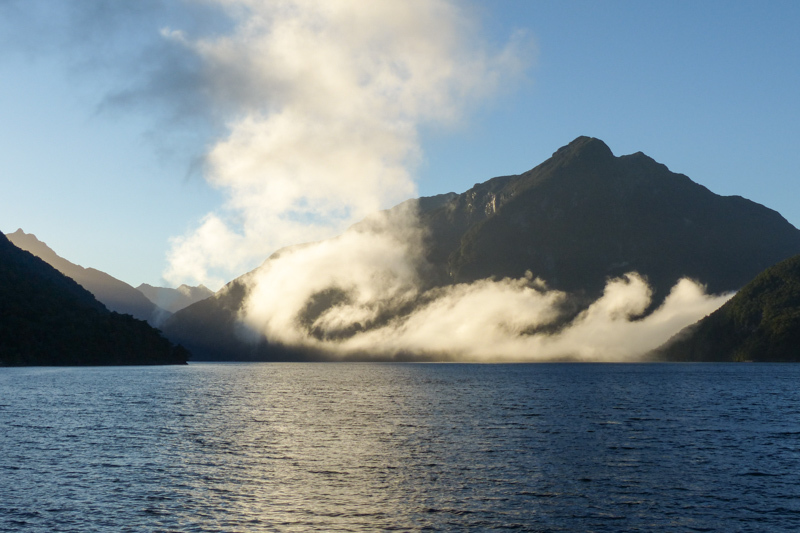 You can even help us pull up a cage of crayfish! 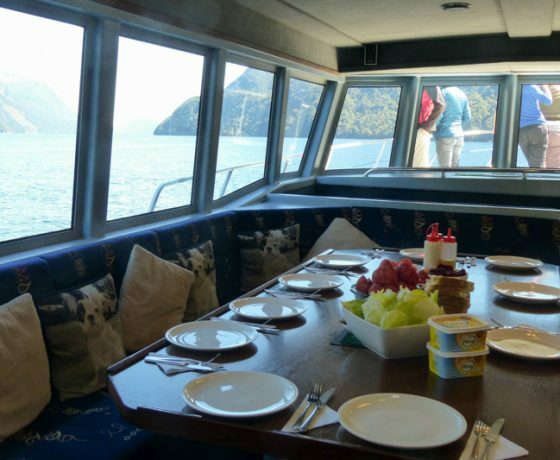 In the evening, enjoy a hearty and friendly meal with fellow guests. 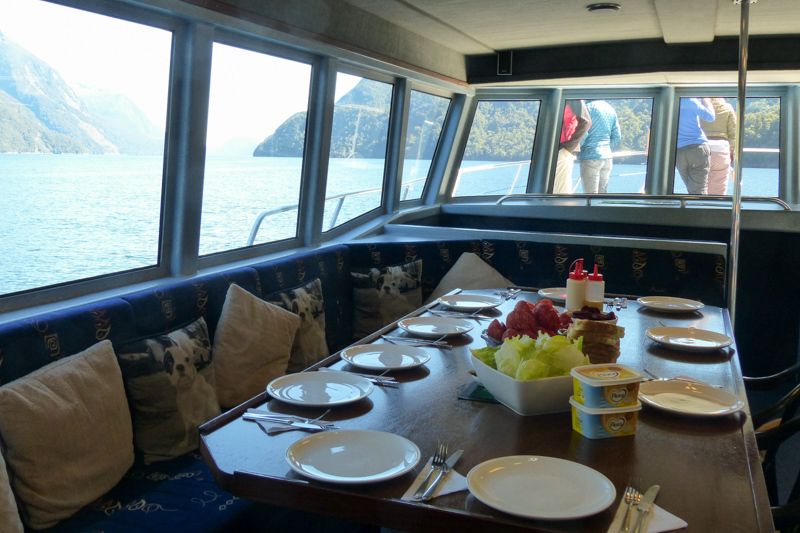 Our meals are becoming legendary on the Southern Fiords. 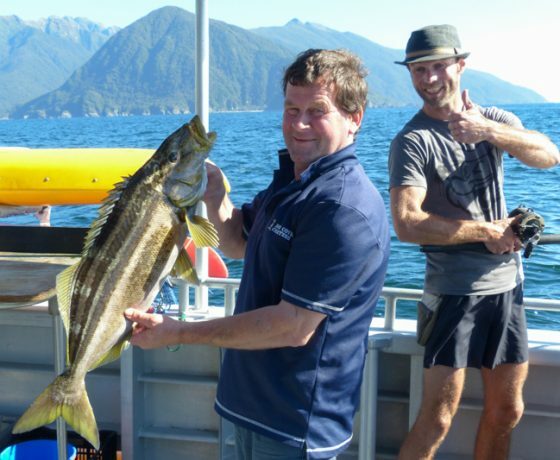 It can be anything from wonderfully tender New Zealand venison to what fish you caught that day! 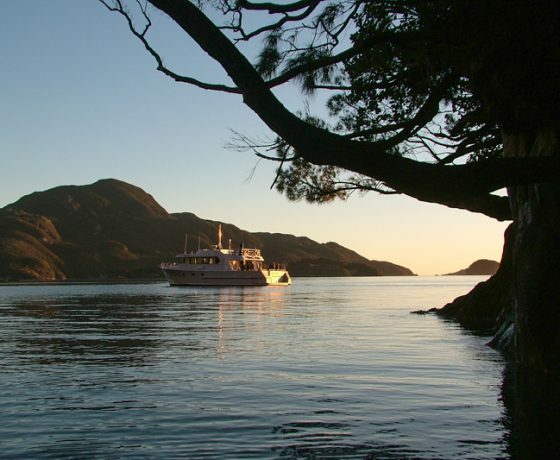 After your meal, just sit back over whatever wine or drink you have bought with you, chill out, mingle and view the spectacular southern sunsets that Doubtful Sound is renowned for. 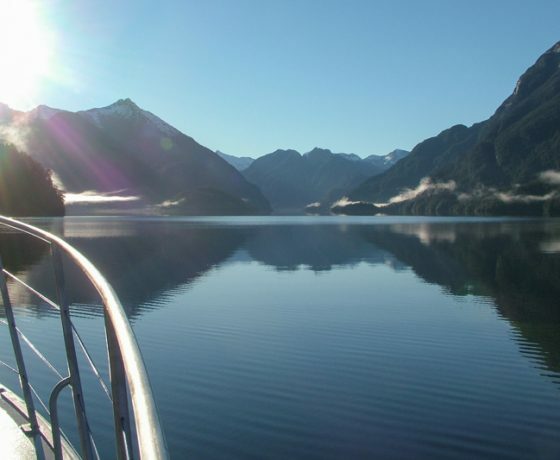 After a lovely comfortable night in your private cabin enjoy a delightful continental breakfast. 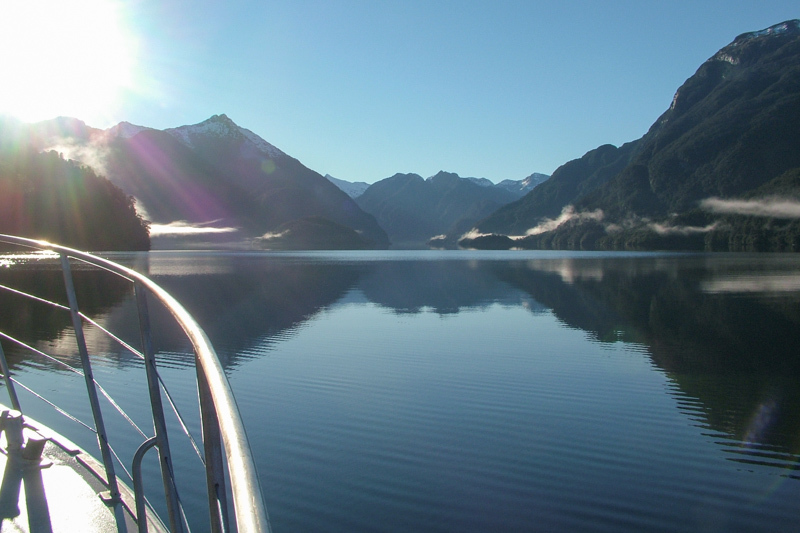 Then it’s back across the Wilmot Pass to Lake Manapouri where you board the transfer boat bound for Manapouri. 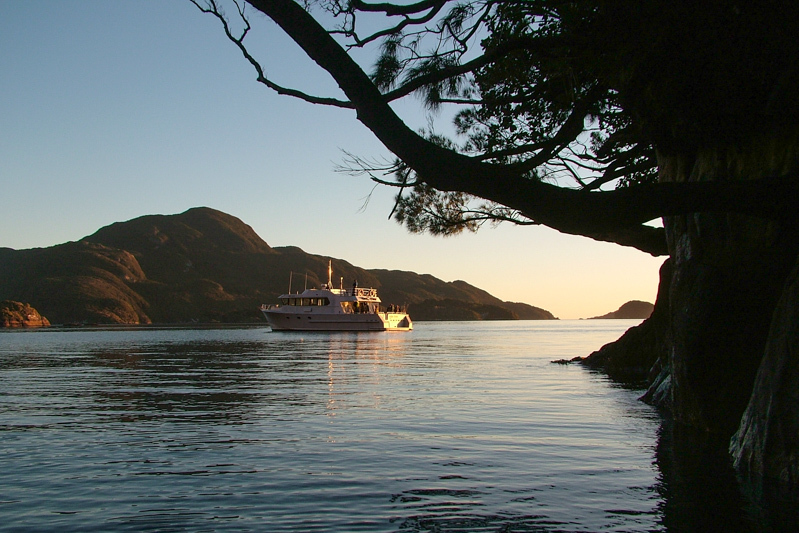 Diane will be waiting for you, just to make sure you had a wonderful time, to thank you and wave you goodbye.